The rains are finally here. 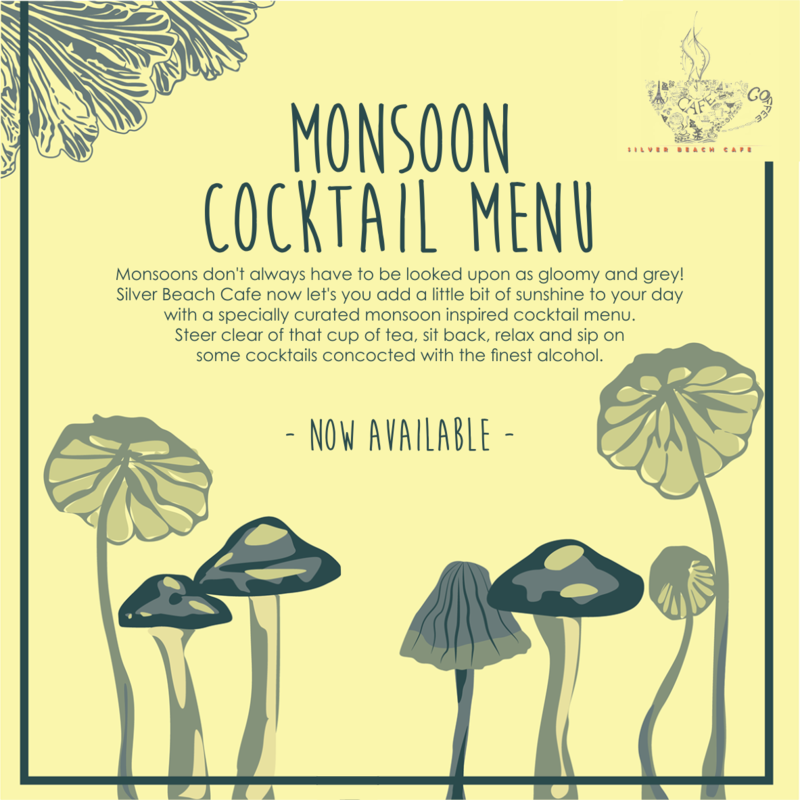 As the gloomy clouds color the sky in different shades of grey don't stick to the traditional chai and pakodas and indulge your taste buds to some scintillating cocktails instead. Head on over to The Silver Beach Cafe which is located in the landlocked cacophonic Fort and Juhu area. The simplicity of décor, a subtle connect to the decades gone by, simple hearty food, music enriched ambiance, an occasional chat with the chef at your table and a bunch of friendly servers all make Silver Beach cafe an apt place for an unplanned rainy day or an evening with heavy showers when you are out by yourself or with friends. Want a drink that can keep you warm and tipsy? Well, Silver Beach Cafe has some soothing drinks that are perfect for the monsoon like DePirojka (Whiskey, orange chunks, mint leaves, cranberry juice), Pina Vina (White wine, pineapple juice, Pineapple chunks ,Dash of lime juice), The Caffeine kick (cold coffee, whiskey, caster sugar, fresh cream, dash of vanilla syrup), Zingra (Vodka, White wine, chopped fruit, cinnamon stick, cloves topped with sprite), Cumin Delight (Roasted Cumin, coriander, vodka, tequila, topped with cranberry juice ) and many more.